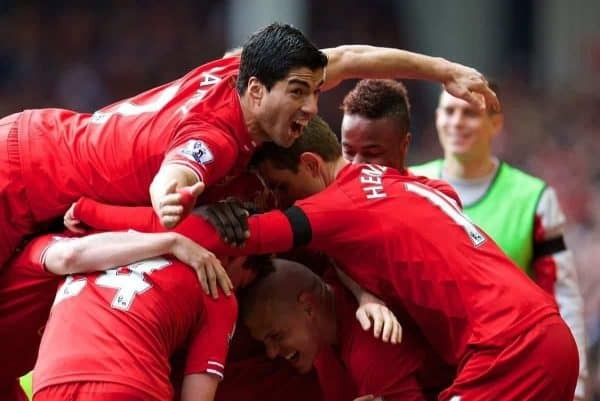 QUIZ: How well can you remember Liverpool's previous Premier League run-ins? Liverpool are in one of their most important spells in the Premier League era as they chase the title, but how well can you remember their previous run-ins? The Reds have six games left to play in the English top flight, and remain neck-and-neck with Man City as they look to lift their first title since 1990. There have been many near-misses since the inception of the current division in 1992, with Roy Evans, Gerard Houllier, Rafa Benitez and Brendan Rodgers all going close, but this time around is the most convincing yet. Jurgen Klopp‘s side could be a month away from glory, and the hope is they go one better than Rodgers’ Reds in 2013/14. That tragic run-in and many others are featured in our latest Liverpool quiz below! Here are 10 questions – how many can you get right?